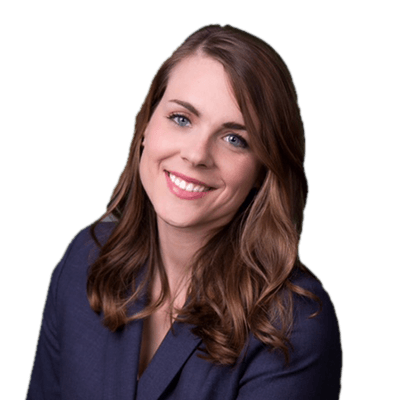 Jennifer M. Cusack joined Aldrich & Siedlarz as an associate in November 2017. Jennifer graduated with a Bachelor of Arts degree in Social Work from Bradley University in her hometown of Peoria, Illinois. Before transferring to Bradley University, Jennifer attended Loras College in Dubuque, Iowa where she competed on the college’s Mock Trial Team winning numerous awards. Jennifer graduated from Western Michigan Thomas M. Cooley Law School and was admitted to the Illinois Bar in November of 2016. During her last year of law school, Jennifer was a student extern for the Honorable Janice K. Cunningham at the Eaton County Courthouse in Charlotte, Michigan where she assisted with civil cases with claims of more than $25,000, criminal cases, family law cases, and cases appealed from lower courts and administrative agencies. Throughout law school, Jennifer maintained herself on the Dean’s List. She also earned the highest grade in five of her law school courses. Prior to joining Aldrich & Siedlarz, Jennifer was as an Associate Attorney at Mirabella, Kincaid, Frederick & Mirabella where she practiced family law, employment law, and managed the firm’s accounts receivable department. Jennifer is currently an active member of the Illinois State Bar Association, the DuPage County Bar Association, the Kane County Bar Association and the Justinian Society of Lawyers. Attorney Jennifer Cusack currently handles both family law and criminal law matters. She is a zealous advocate and believes that communication is the key to having the best relationship with her clients.